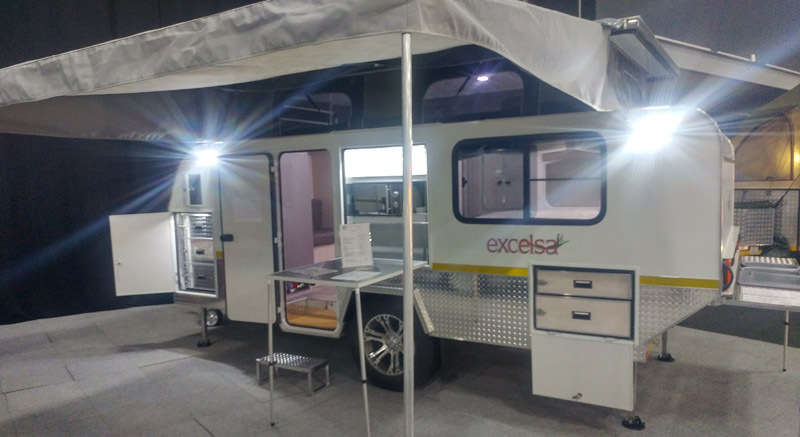 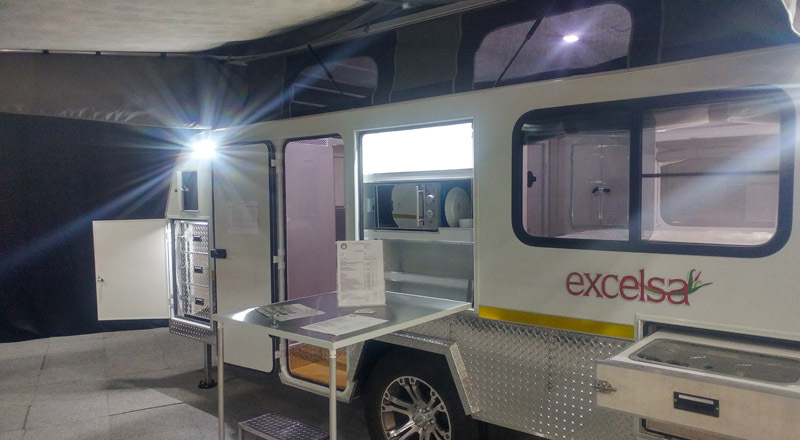 The Excelsa model is the largest single axle caravan in the Aloe Caravans range, with a 5.8m length (including A-Frame) and 2.2m width. 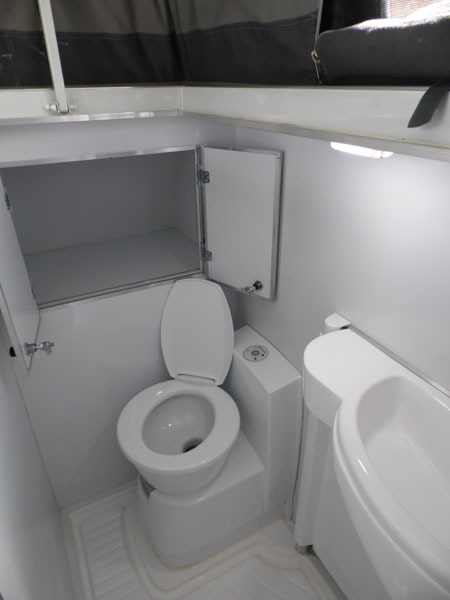 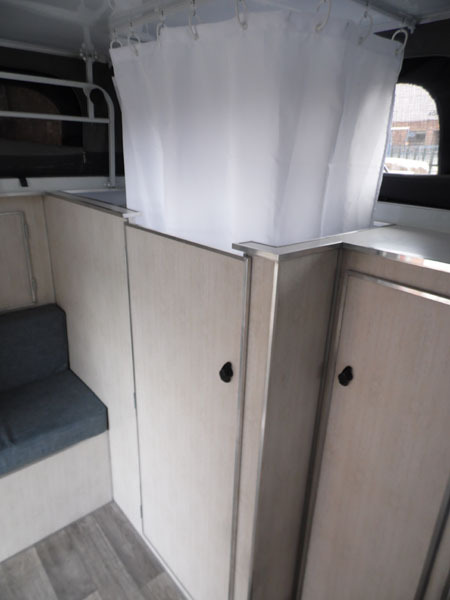 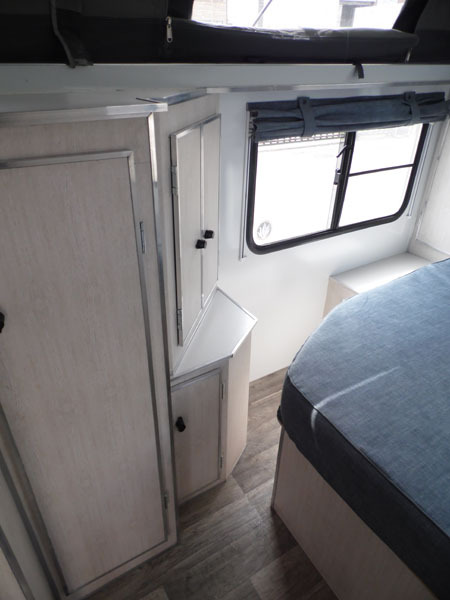 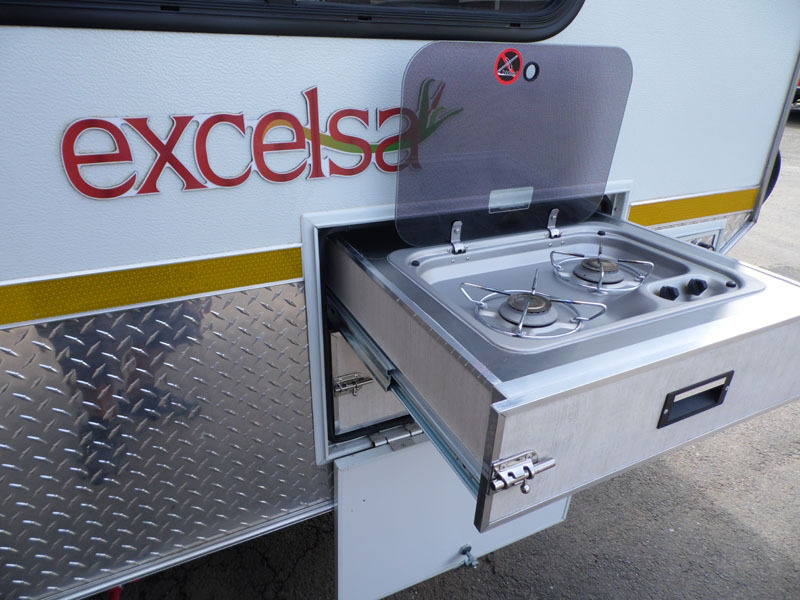 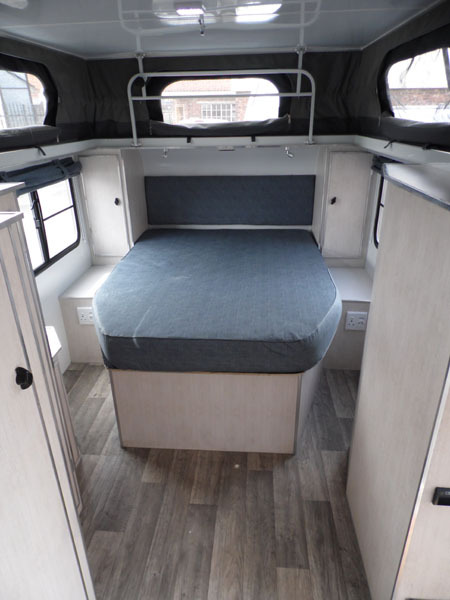 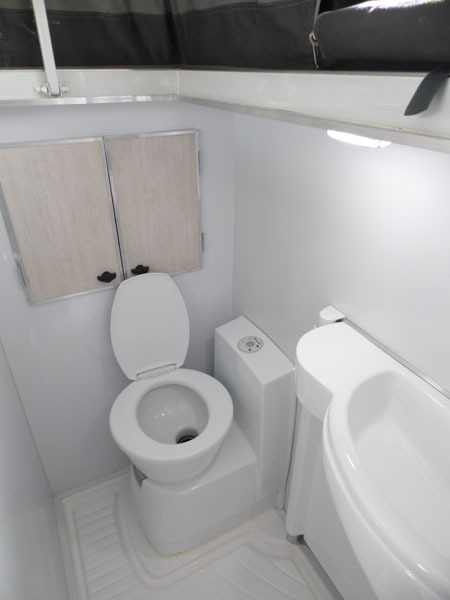 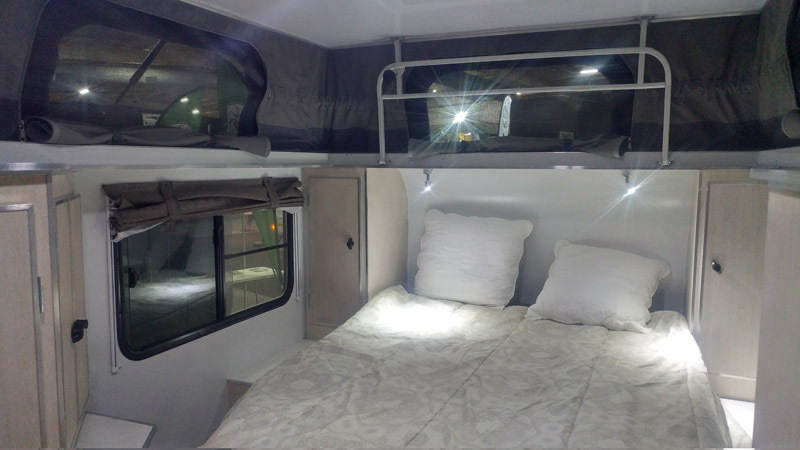 This layout includes as standard a fixed island bed, full internal shower and electric flush toilet; making this the ultimate single axle off-road caravan. 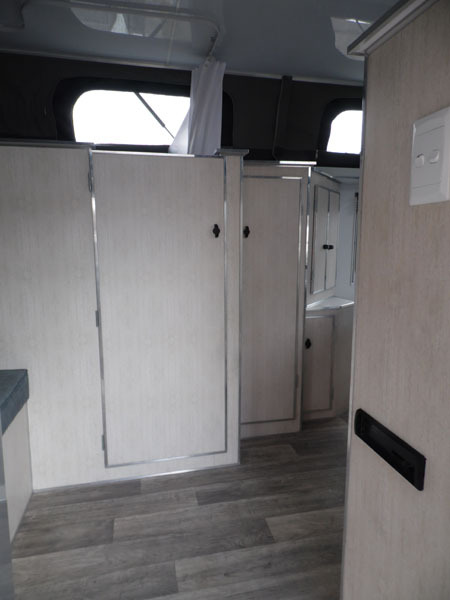 This Excelsa layout C includes a full bathroom and island bed as standard. 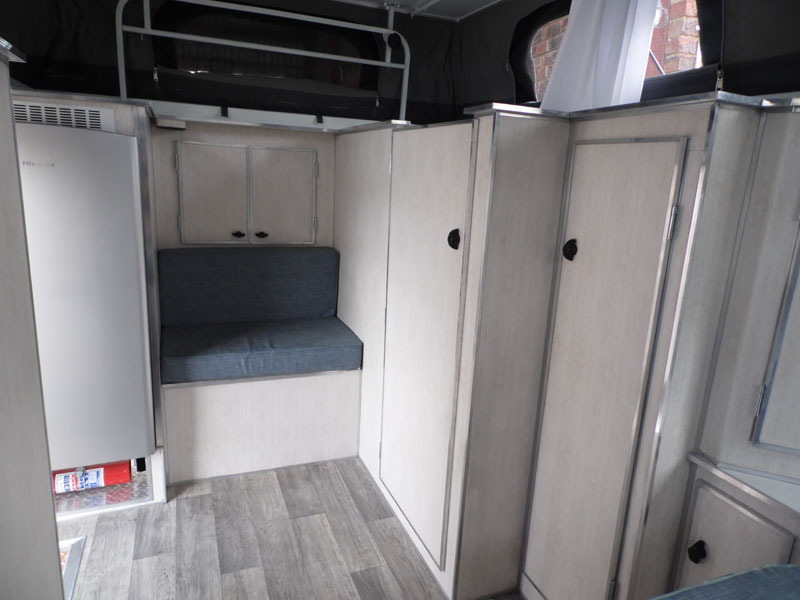 Radio seen in image is an optional extra. 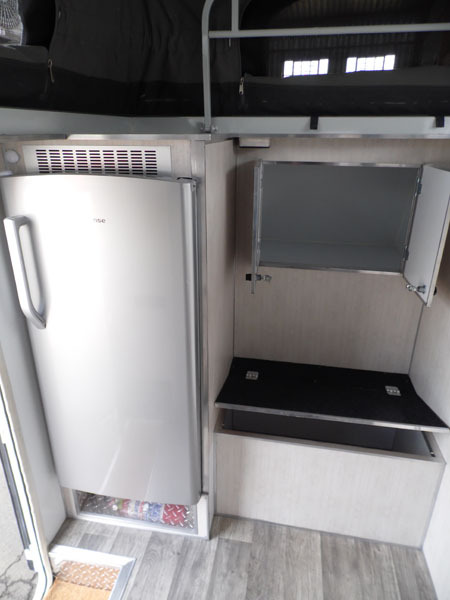 A HiSense fridge/freezer is featured in this Excelsa, with easy access while standing outside in the doorway, or inside the caravan. 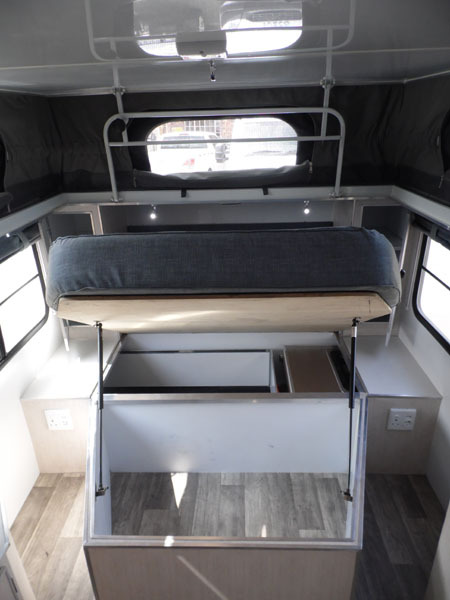 The bed lifts up on 2 gas struts for more packing space. 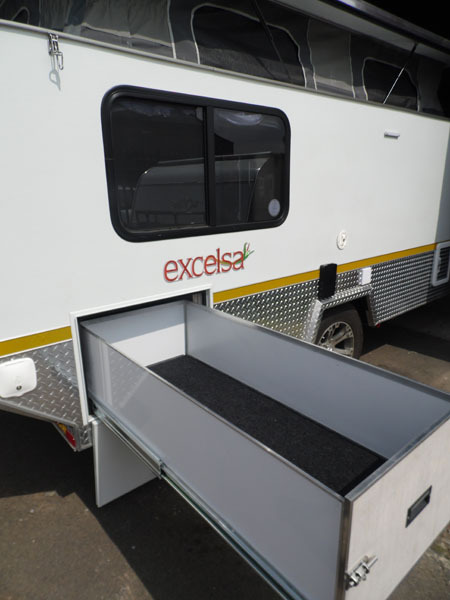 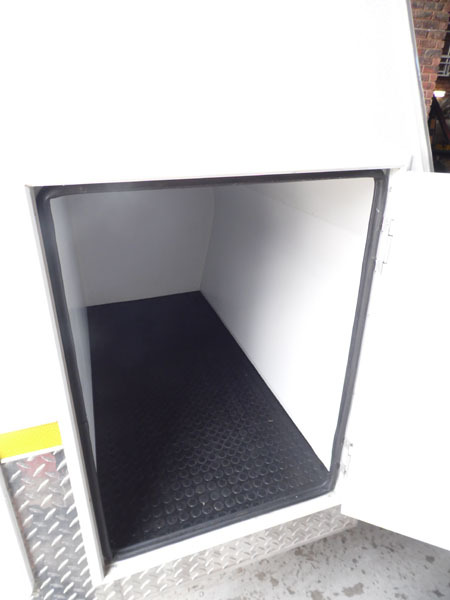 As this unit includes a cooker and external drawer unit, this slides in under the bed as seen in the photo. 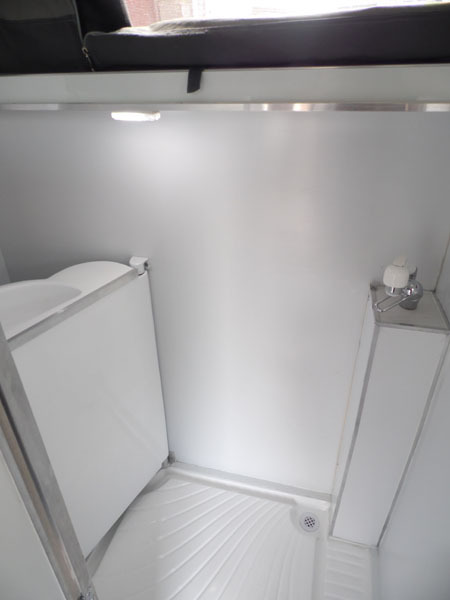 The bathroom is full "wet room" with a drainage outlet in the shower floor for run off water. 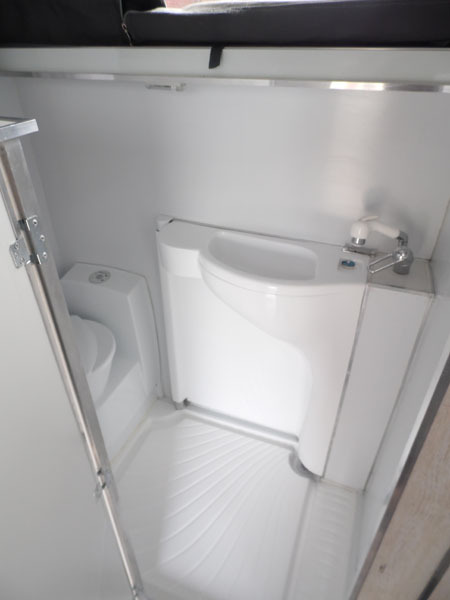 As standard, an electric Dometic flush cassette toilet is fitted, with a turning seat.